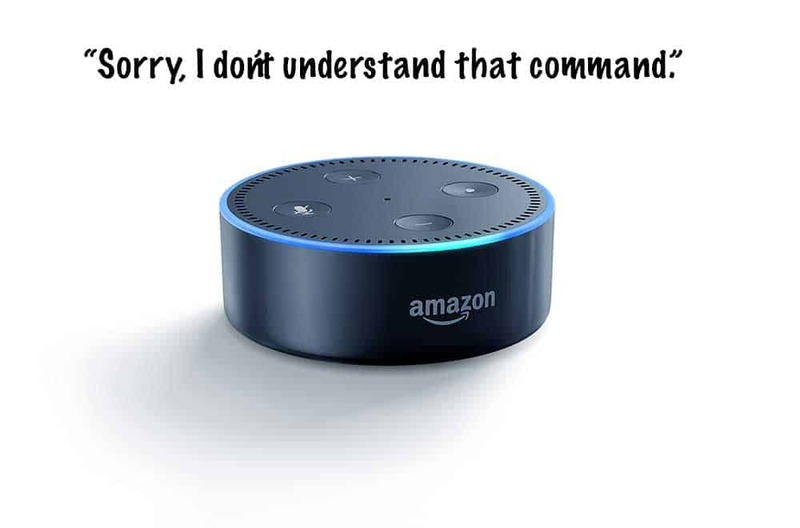 I am one of many who have an Amazon Echo Dot. As a matter of fact, I have two. One upstairs and one downstairs. For the most part, I really like them. However, if the future of artificial intelligence are these voice control devices, they have a long way to go. There are many times that I am re-asking the most mundane of commands. For example, “Alexa, play WDBF on TuneIn Radio.” Her response, “Playing, 107.1 the Boss on TuneIn Radio.” How are these remotely the same? The best part is that I ask it the same task almost every day. If these devices were truly intelligent, wouldn’t it get that by now? Another example is if I miss ask a question. Sometimes I will get the response that there are several commands with that same name. If I type “Lincoln” into Google, it will give me a best guess based on my search habits. Not so much on my Echo Dot. One of my favorite things to do is create a shopping list with my Echo. I can just add stuff to my list with just a voice command and when I go to the store, it’s there. No more forgetting the list at home. Even my wife, who is not very technologically savvy, loves this feature. However that also leads to my next gripe. You would think that if I put butter on the list and my wife also puts butter on the list that it would say something like “You already have butter on your list, would you like me to add it again?” It knows what is on the list because it can read it back to me, but no, I have gone to the store with toilet paper on my list five times. I guess we use a lot of toilet paper? What I am trying to say is that with automation is becoming more and more prevalent in devices, there is still much more work to be done. Believe me when I say that I am a big fan of these devices particularly when they do work correctly and I can turn my TV, soundbar and cable box on and off with a single voice command. Where these devices lack is in the logic aspect of their intelligence. If I asked for Pandora on my FireTV the last three times, perhaps if I ask to turn on Pandora, it will at the very least ask me if I want Pandora turned launched on my FireTV. It would seem logical that on the fourth time I would want it played on my FireTV. My personal opinion is that these devices caught on too quickly and the intelligence aspect of them wasn’t fully flushed out. In any case, I don’t believe these devices are going away any time soon. If you look at the number of products introduced at the Consumer and Electronics Show this month that are tied into voice commands through Alexa, you get the sense that people want that functionality. Heck, I want that! I love just saying turn on my living room lights from across the room and they turn on. It’s fun, which is why I want it to succeed. In the meantime, it will just delete the four other entries of toilet paper and hope that someday it will learn that I want Pandora played on my FireTV.